“Surf the Earth” with the GolfBoard. 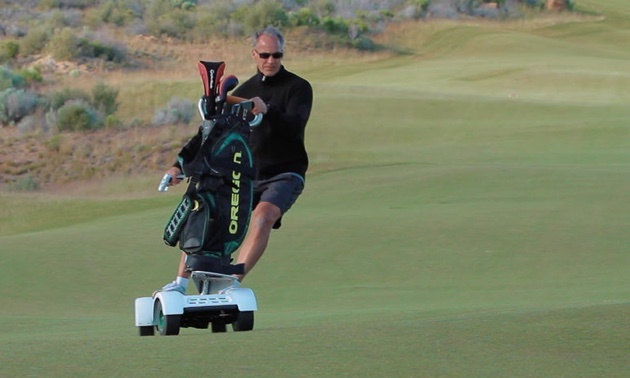 The concept of the GolfBoard was created by Don Wildman, who had the idea to use an electric skateboard to ride the steep slopes of his local course as a way to deal with his snowboard withdrawals during the warmer months. Although Wildman had the original idea, it wasn’t until surfing legend Laird Hamilton and entrepreneur Star Faraon came on board before the idea took off. The GolfBoard has already been embraced by various golf courses and players across the world. To learn more about GolfBoard, go to www.golfboard.com.